This is a sorta survival challenge map. 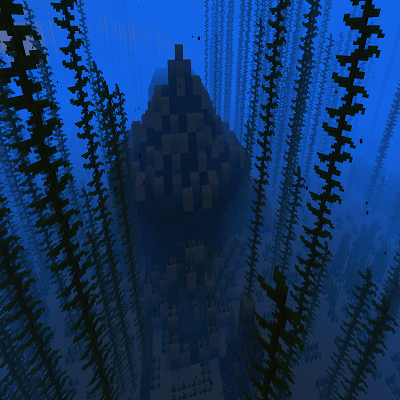 I wanted to see a completely underwater based survival, but a normal map would not do it. So i tweaked the Flat map generation to make a infinite lukewarm deep ocean. Later in the future i may do more of these with the different oceans. For now it will be purely with this one, i will do my best. This map is in early state, the monument is only 1/3 complete with only some challenges done. If you find bugs, issues, or have a suggestion. Please let me know.